Stevia Rebudiana / Stevia TBC / Leaves / Powder. 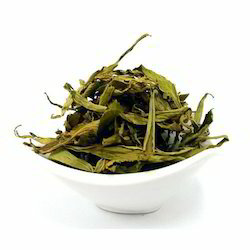 Drier leaf stevia powder used for diabetes and fat people to decrease blood glucose level in the body. 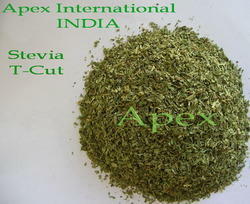 A natural plant product which is used in prepartion of tea and coffee and sweets. Specifications: Planted crosswise, its leaves are about 5 cm long and 2 cm Stevia can be grown on relatively poor soil Plants can be used for commercial production for 5 years. The average yield of Dry Stevia Leaves per annum per acre is 2.5 MT. With the complete help and support of our team members, we deliver product that is certified and in compliance with the standards. We maintain a high level of transparency when it comes to payment. Our methods are simple, as per your convenience, and practical. We ensure to agree upon a method during undertaking. Stevia is a sweetener and sugar substitute made from the leaves of the plant species Stevia Rebaudiana .Stevia's taste has a slower onset and longer duration than that of sugar, and some of its extracts may have a bitter or licorice-like aftertaste at high concentrations.